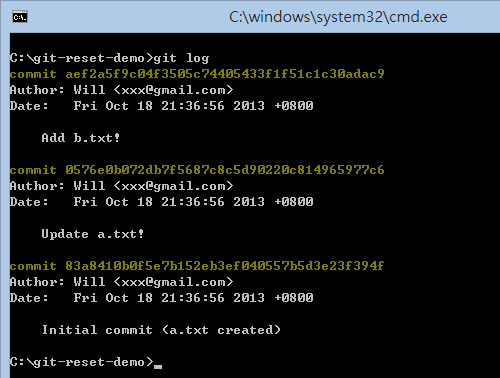 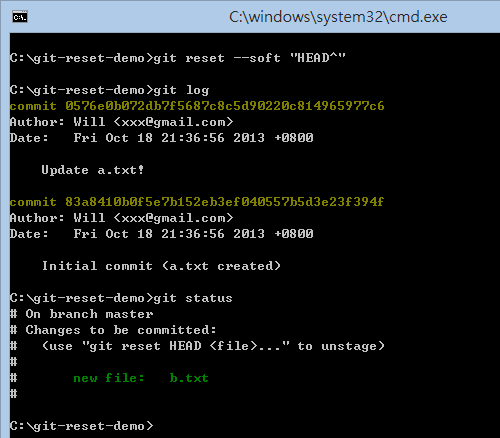 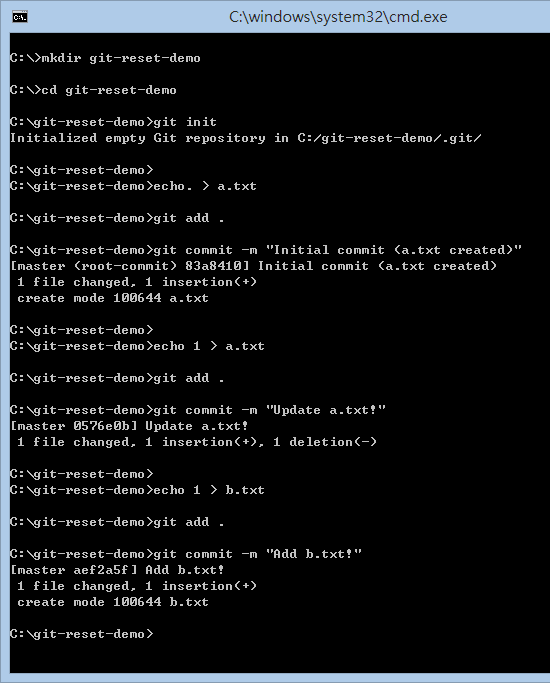 git commit -m "Update a.txt!" 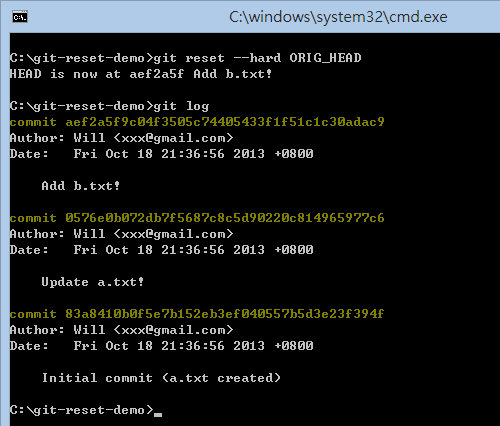 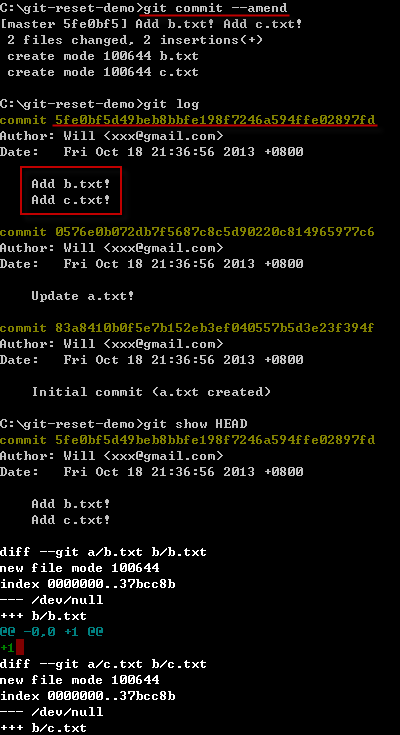 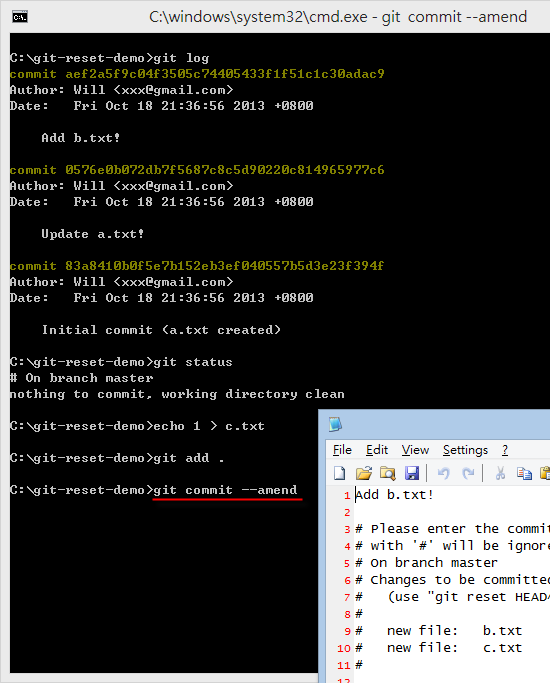 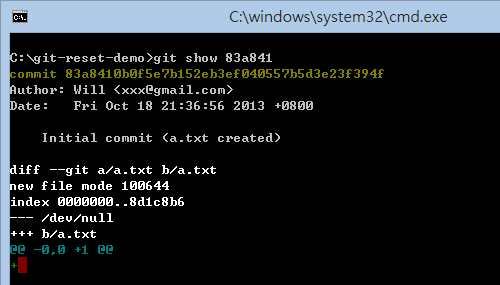 git commit -m "Add b.txt!" 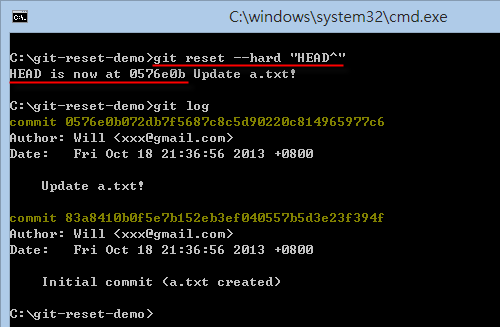 * git reset --hard "HEAD^"
* git reset --soft "HEAD^"